Josh Constine of TechCrunch reported that the social network is preparing a visualized timeline displaying the points during archived Facebook Live videos when they received the most engagement—likes and other Reactions, as well as comments. 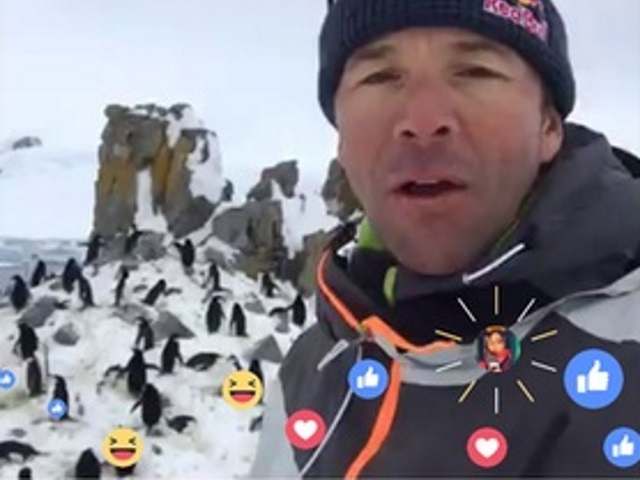 Around two-thirds of the watch time for Facebook Live happens when the video is no longer live, which tells us that people are interested in watching live videos even if they can’t catch them while they’re happening. When people watch a live video after the fact, the engagement graph provides a valuable signal that can help people explore the video and easily identify highlights that they may find engaging, which could encourage people to spend more time with a video that they might have otherwise skipped over. The engagement graph is designed to help people easily navigate a video that was live—especially longer ones—to find the moments that drew the most engagement. No plans to share. We think the engagement graph is particularly useful for live video, as they are often longer than typical short-form, on-demand videos, and it can help people easily discover the parts of the video they might find most interesting. Nothing beats watching a live video while it’s happening, but it’s not always possible to catch all broadcasts live. While we can’t totally replicate the experience of watching live, we want to help people feel in on the action after the fact. Readers: If this feature is rolled out globally, do you think it will cause Facebook users to miss key moments in Facebook Live videos that many not have registered high on the engagement scale? Screenshot courtesy of Josh Constine, TechCrunch.